Calling all budding photographers who also love Super Saturday: Check out the Youth Photography Contest at this year’s event! Those who know Super Saturday know it’s a natural for great shots of people having a wonderful time. Established in memory of Mara Smith, long-time supporter and photographer for Super Saturday, the contest is open to youth 18 and under from Polk County and Spartanburg District One area schools. Participants may submit up to 5 digital photos taken on Super Saturday that capture the fun and excitement of the day. Judging the contest will be Mara’s husband Ford Smith, who is also a photographer, and her family. Cash prizes for the Most Fun, Most Creative and best capture of the Essence of Super Saturday will be awarded. 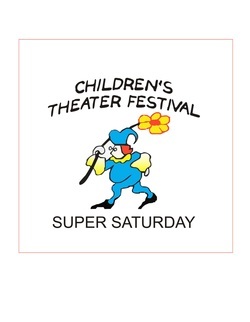 Children’s Theater Festival retains the right to use all images for electronic and print promotions in the future, with participants receiving credit for their photographs. Entries must be submitted to supersaturdayphotos@gmail.com up to one week after the event. Entries must include the photographer’s full name, age, school, phone number, email address and home address.